Thirty years ago John Burling almost lost his wife and infant son to a tow rope mishap, and he has finally discovered a way to prevent it happening to others. The tow rope, on the car he was towing them home in after a breakdown, unhitched itself and the vehicle careered towards oncoming traffic on a steep hill. 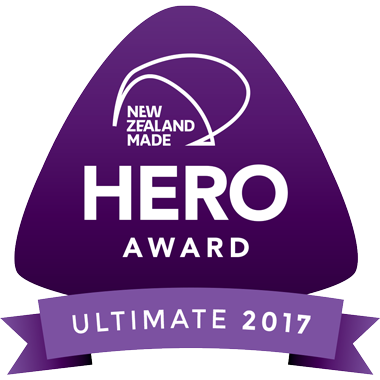 “Just as we were coming into Whanganui on one of those fast pieces the thing slipped off the towball and the rope went in between the front wheels of the car and caused Yvonne to veer into the oncoming traffic. She was really stressed about it because it nearly killed her and our son,” he said. 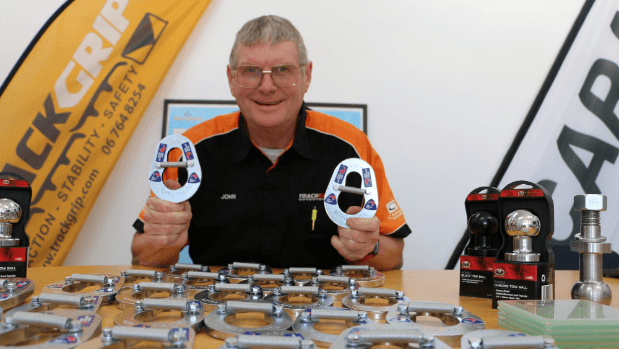 Carac Group managing director John Burling with his latest invention, the Towlock, a device that prevents tow ropes from unhitching off a vehicle’s towball. But Burling, an Eltham inventor and engineer, has come up with a way to stop a tow line ever coming undone again – and it’s shaping up to be a big commercial success. The invention, called a Towlock, would hold a load tight no matter what angle it was towed at, or how rough the ride.The oval device slips over the towball shank or another suitable anchor point on a tow vehicle, and is held firm by a spring. Burling said it would be ideal for emergency crews, towing firms and farmers. John Burling’s ute is hoisted up to show how strong one of his new Towlock devices is. More recently, his own ute sustained $5000 worth of damage when a tow line fell off while he was hauling it out of mud behind a digger and the vehicle careened back down a steep hill. 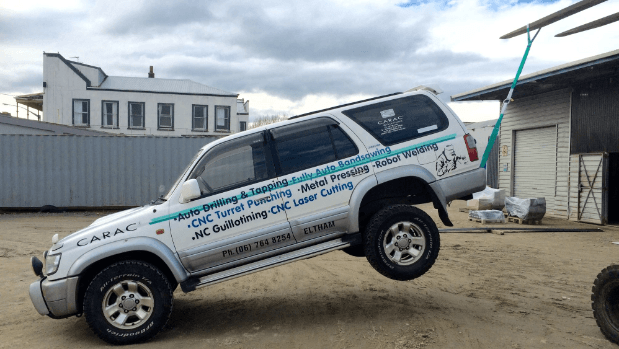 The long-suffering Surf ute recently helped him prove a point for a photo, hanging, with its back wheels suspended in midair, from a Towlock on its towbar. “We just picked it up with the forklift and held it up in the air. There’s no way it can come disconnected,” Burling, the managing director of the Carac Group, said. His main worry now is how to make enough of the devices to meet the demand. He’s taking two or three thousand Towlocks to sell at the Fieldays at Mystery Creek on June 14-17. His sights are set on the markets in Australia, America and Canada, he said. The devices retail for between $20 for one suitable for a four wheeler, to around $40 for heavy machinery-sized ones. Burling said the idea came to him as he was trying to figure out an extra accessory for the trailer couplings he sells. He’s already looking for more staff for his six factories in Eltham, and says more people will be needed just to manufacture Towlocks. View full Stuff article here. View the video here.